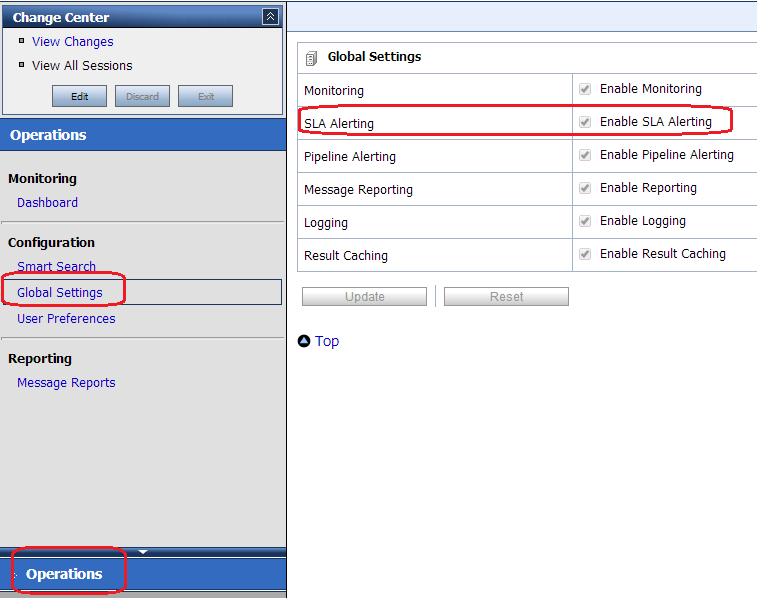 In this Post, I will show you how SLA alert works and what configuration we need to do enable SLA alerting. We need to enable SLA altering both at service and global level to raise an SLA alert. You can see these alerts on OSB dashboard. First we need to have some service level agreement so that we can fire SLA alert when that agreement violated. For this post, we call one external service which is nothing a SOA composite from OSB and as per the agreement service should responded back within 50 msecs. We have put wait activity inside External service so that service agreement got violated and SLA alert fire. First create a SOA composite and put some wait inside it. 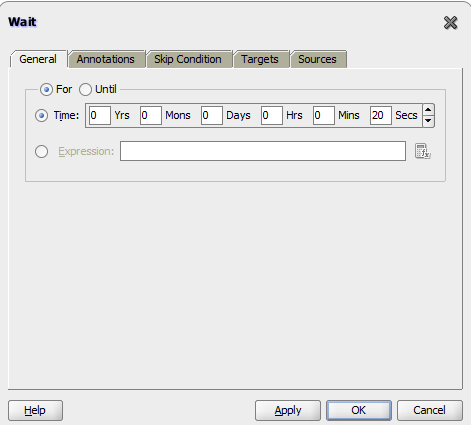 Create a new OSB project and import above composite WSDL and schema file to it. Now create one Alert Destination under resource folder. We will call this Alert Destination from SLA alert later. Now create a business service based on SOA Composite WSDL file. Save your Business service. Now open your business service and go to “Operational Settings” tab. 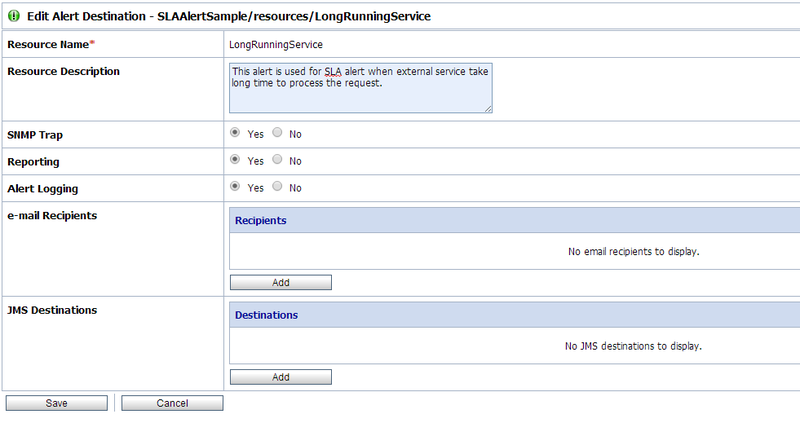 Enable SLA Alerts here. Now go to next tab (SLA Alert Rule) of business service. Fill required values and browse previously created Alert Destination. You can choose the severity level and frequency here. Now define alert rule. Since we check for response time so we defined below condition for agreement. Save your configuration and you will SLA alert created for you. Now create a proxy service from existing business service or you can simply test the business service. When you test your business service you will see SLA alert on OSB dashboard as SOA service take more than 20 second to process the request but as per the agreement it should take only 50 mseconds so agreement got violated and SLA alert fired. Suppose I want to introduce a time interval of 10 seconds between two steps of the proxy service flow, what should be my approach? 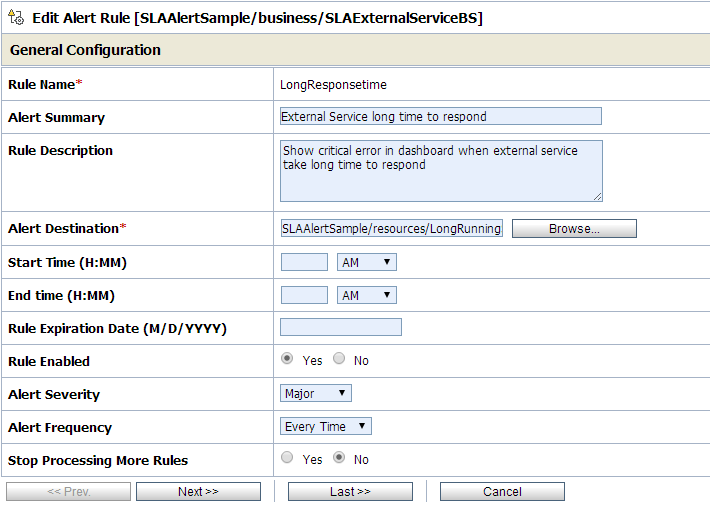 Time interval between two steps of proxy service is not done by SLA alerts. Hi vivek,in 12c how to achieve the service pooling.can you please tell me.